The following is Part 3 of a comprehensive series on Spiritual Awakenings. In Part 1 we saw that a ‘spiritual awakening’ is the process of becoming conscious of other levels of reality, including the reality of oneness. In Part 2 we saw that this process is experienced as a process of evolution as well as more intense moments of recognition. And that the further we are from our true self, the more intense the awakening symptoms can be. Now in Part 3, we’re going to take a quick look at what the awakening path might look like. You see, it really isn’t a straight line. And there is certainly no map! Awakening is a process of going beyond the idea of ‘yourself’ as a separate being; however our entire Western society and culture are based on this very idea! 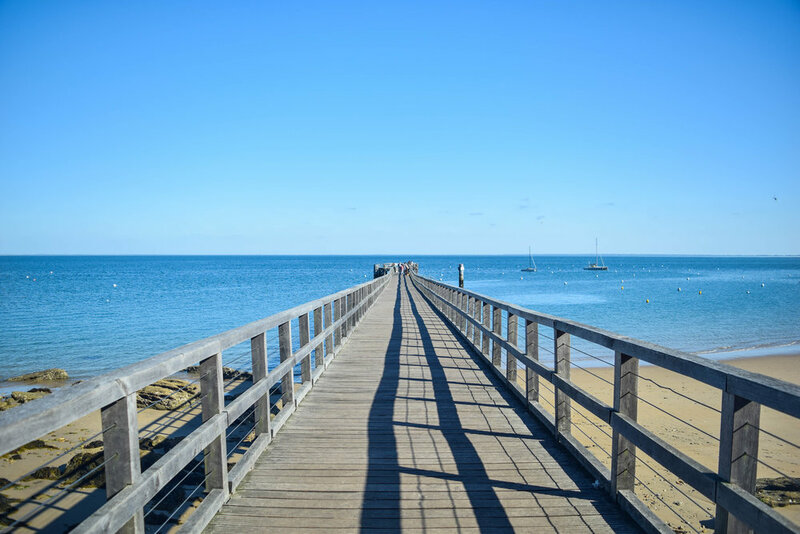 So needless to say that this journey is not always easy: even all these famous teachers like Jesus and Buddha experienced moments of doubt, fear, struggle and isolation, as they listened to their inner knowing and went ‘against the grain’. I find very useful the following stages of consciousness, inspired by Michael Beckwith’s description of the spiritual path. These give a clear understanding of where the awakening path is leading us. What will determine how long you stay in each one is your openness to the process. As the say, ‘what you resist, persists’. The same is true for the awakening process. 1. Victim Consciousness (life happens to me): we are trapped in victim mentality, believing that life is something happening to us, that the world ‘out there’ is impacting us ‘in here’ and we are powerless to our culture, identity, society etc. 2. Creator/Manifestor Consciousness (life happens by me): we begin to recognise that everything ‘out there’ is a manifestation of what is happening within us, and that we have the power to change our lives by focusing on our inner world. 3. Channel Consciousness (life happens through me): we become aware of ourselves as channel for life itself, and that we are vessels for the cosmic flow of intelligence expressing itself. 4. ’I AM’ Consciousness (there is no ‘me’): we recognise the true oneness of all things, that separation is an illusion and that there is no ‘me’ but simply pure Awakened Presence. The awakening path takes us beyond our 3 dimensional world, into experiences of higher dimensions such as 4th, 5th and beyond. These are certain energy vibration rates that we resonate with: as we ascend beyond the Victim consciousness stage, we begin to resonate with the other levels. 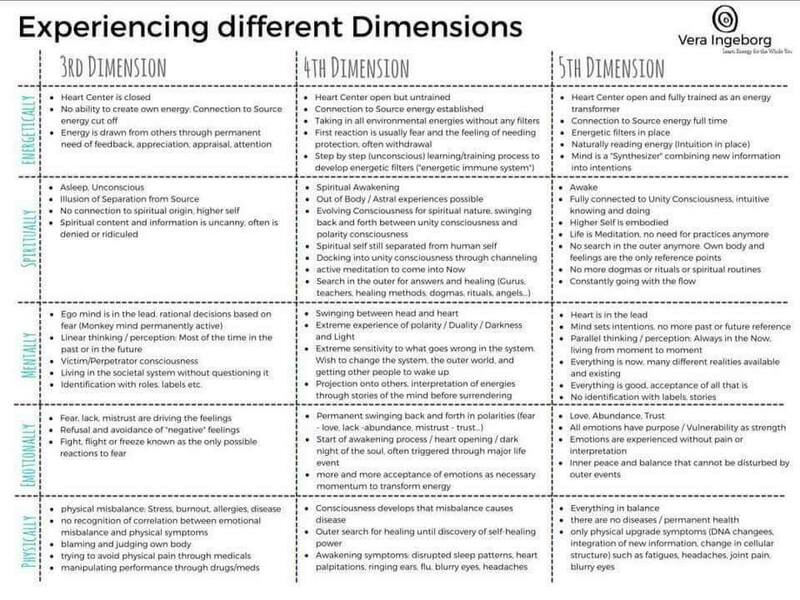 I recently discovered this wonderful table from Vera Ingeborg that describes in great detail the experience of the 3 dimensions, on the mental, physical, emotional, spiritual and energetic levels. While these concept outlined above can provide us with a clearer picture, awakening is a journey with no specific destination but the experience itself. In Part 4, we’ll take a look at the possible impact of a Spiritual Awakening on your life. In the meanwhile, I’m curious to hear about your experience with the stages and dimensions outlined above. Post a comment below with your insights!